INXY – dedicated servers, CDN, cloud solutions: IP address hacking: a myth or reality? Some people who see alteration of their IP address may assume that it has been stolen, and computer has slowed down because of it. But is that possible, and if yes, what the outcomes are? The truth is that your IP address cannot be hacked. 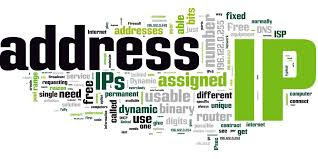 The number is chanced because usually Service Providers serve several areas, and grant a new IP address every time you restore connection to the Internet. IP addresses can be assigned randomly, so their alteration does not affect functioning of your computer anyway. The IP address you used to have may be assigned to another device next time, but it does not mean that your computer is under threat: the next user cannot find out who exactly had this address before. Can a person hack you, if knowing your IP address? Type of Internet connection is what matters in this case. In most cases, it is unlikely: hacking with the help of IP address is a very difficult and long task, which may be not worth accomplishing. Except for people who have huge sums on their back accounts that can be accessed via computer. In fact, it is easier to access a PC using a virus rather than IP address: it cannot tell your real address, or name, or any other personal information. Remember that an IP address alone does not make you an easy target. But even if you have a static IP address, that does not makes the chances of being hacked higher. What makes it easy for hackers is outdate software and vulnerability of configuration. If hackers are aware about it, they can attack a machine. However, they should be really interested in your account to try hacking. In most cases, rootkits and viruses are used to obtain information.